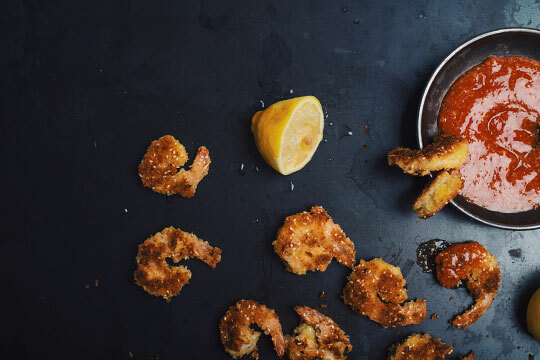 Whether it’s to serve during the holidays or simply to throw a starter that will please everyone’s tastebuds, these crispy shrimps will make you the star of the night! Place 2 sheets of paper towel on a plate and pour the shrimps on top. 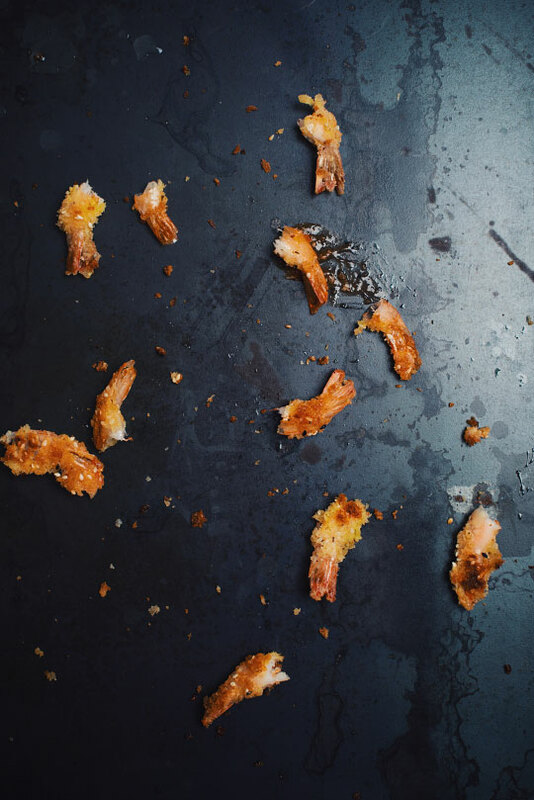 Absorb liquid off the shrimps then throw away paper towels. Pour the flour in a bowl, season with salt and pepper then stir well. In another bowl, pour the beaten eggs. In a third bowl, pour the panko then add sesame seeds, herbs of Provence and garlic salt. Stir well. Dip the shrimps, one by one, in the flour then in the eggs finally in the panko mix. Reserve in a plate then repeat for the rest of the shrimps! In a big non-stick pan at medium-high heat, pour the canola oil and cook the shrimps about 2-3 minutes on each side to get a nice golden color! Handle with care. Add oil if necessary. For the cocktail sauce, simply mix all the ingredients together then season with salt and pepper to taste! A good wine that is fresh and well balanced from a producer I love, Albert Bichot. A wine that offers citrus and tropical fruits aromas. Perfect to go along these crispy shrimps! The notes of butterscotch and grilled hazelnuts of the beer will evoke the taste of the grilled panko of the shrimps. In the meanwhile, notes of berries of the beer will be completed by the spicy cocktail sauce. A perfect match for the happy hour! Crisp acidity of lemongrass followed by sweet honey and notes of pepper, with a sharp, floral finish. Suggested glass : Footed flute.